Home CRM 101 Dynamics CRM 2011 Goals and Advanced Sales Management 3 people are discussing this now. Goals were introduced in CRM 4.0 as a part of Extended Sales Forecasting. In CRM 2011 Goals come out of box without the need install any additional solution. So what are Goals? How do these augment Sales Forecasting and the built-in opportunity pipeline report? Let’s look at the opportunity sales pipeline. This funnel chart visually depicts the opportunity potential value as the opportunities move through the various sales stages. It’s great for getting a quick glimpse at how the sales organization is doing. Though this chart comes out of box, we can build similar charts for each sales manager and salesperson. Let’s say you want to assign each salesperson and sales manager a quota or target. One way to do it would be to have a customer entity or an Excel sheet to define targets. The spreadsheet could calculate the potential value for open opportunities and the actual value for all closed opportunities. We could also use this to compare the actual value to the target for each salesperson. Then the actuals for each salesperson can be summed up to get the value for the sales manager, and then summed up again to get the target to the actual for the whole sales organization. There are probably a few organizations that have a full-time employee or two dedicated to running these numbers every week, month, and quarter. But what if this entire process could be automated? That’s what goals in CRM 2011 do. Let’s examine these in more depth. Opportunities drive numbers, compensation, projections, R&D, expansion, and much more. They need to be tracked, managed and ultimately converted to a Sale. Salespeople should be tracked and compensated based on the opportunities that they manage and convert. A chart indicating opportunities arranged by top customers. The most common parameters for tracking opportunities are Potential Value and Actual Value. The stage the opportunity is in and the close date are also important parameters, and they also drive the funnel chart. For our purpose for tracking target or goals, we will look at the potential value, actual value and close date. A chart indicated actual value in terms of revenue. Let’s say an opportunity is closed by a salesperson. The actual value of the deal would be added up and compared to the salesperson’s target. CRM 2011 Goals allow you to define those targets. But before we do that, we need to add a couple of parameters to the Goals. Time period. Usually goals are defined for a specific period. Targets. Let’s say you need to meet $50,000 in sales for the month of January 2013 or $250,000 for Q1 2013 or something on similar lines. You need to define a period for which the goal is to be tracked. So now, all opportunities closed in Jan 2013 will be tracked against the Jan 2013 goal of $50,000. Stretch targets. If you are an extraordinary sales person, and you negotiated an additional bonus if you exceed your target, you can also define a “stretch target” in Goals in CRM. Goal owner. This is who the goal is created for. Goal manager. This is who the owner of the goal reports to. Goal metrics. Here the Metric is actual value for closed opportunities. The goal metric can also be defined as the number of opportunities closed, number of tickets/seats sold, revenue collected through ticket sales, and so on. Dynamics CRM 2011 also allows you to define multiple metrics for a Goal. To recap, we can define in CRM the following in the Goal Entity—Period, Target, Stretch Target, Goal Owner, Manager and Metric. Based on this, the actual revenue will be calculated and tracked against the goal as a Percentage Achieved. So, let’s say we just defined a target and asked the system to get the actual revenue for all closed opportunity in a specific time period. What if we do not want all Opportunities? What if we just want the opportunities which are owned by the Goal Owner or the Salesperson for whom the Goal is defined? That’s where we can use the Goal Criteria, which can be found at the bottom of the Goal entity form. For each rollup field defined in the Goal Metric, you can specify a Rollup query to selecting the set of records to be used in the Goal calculation. So that covers the basics of Goal Management (or Extended Sales Forecasting) in CRM 2011! What about other reasons for using goals? 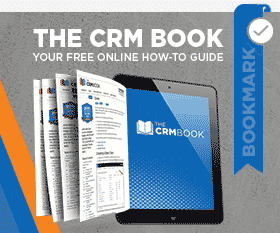 Let’s say you have implemented CRM for your customer service team. It may seem like your customer service representatives (CSRs) have nothing to do with Opportunities. Fear not, for you can use goals for managing and tracking your customer service team! Instead of tracking opportunities, we will track Cases. One of the simplest metrics to track is the number of cases closed in the specific period. That would be the Goal for the CSR. To make things more interesting, you can also set goals for average open case time, average or absolute customer satisfaction points on cases, negative goals for cases open for too long, and so on. Ok, so can we do the same for anything else? Maybe you use CRM for something other than sales or customer service. Good news! Goals and metrics can be defined for custom entities too, offering truly limitless tracking. Maybe you should create a goal to see how many goals you have in the system? Let us know how you use goals in the comments! by Joe D365	January 30, 2013 3 people are discussing this now.